Let us take the worry out of selling your home! Enjoy full REALTOR services at a low fixed 2% commission rate. You will save thousands when compared to paying 7% on the first $100,000 and 3% on the balance. Find complete information and pricing below. *Potential savings utilizing Options Realty Lakeland 2% Fixed Rate listing option versus paying 7% on the first $100 000, and 3% on the balance of selling price. In 2010 the Federal Government Competition Bureau was successful in forcing the Canadian Real Estate Association (CREA) to change their rules regarding “Agency” in Canada. The most significant change this rule brought about was that it opened the doors to alternative business models. These new business models created pressure in the industry to remain competitive. Property owners began to ask themselves, “Do we really have to pay that much money in order to sell our property?” Quite simply the answer is no. Here at Options Realty Lakeland we recognize that there needs to be a better balance between the amount of our compensation and the amount of work involved in the process. This is why we have chosen a Fixed 2% Commission Rate for our listings. Gone are the days of trying to negotiate a commission rate with your Listing Brokerage. With us, the price you pay is the price you see. Now, that’s one less thing you need to worry about when it comes to selling your property. Call us today and one of our representatives would be happy to explain to you how our 2% Fixed Rate Full Service Listing works. If you would rather have this first meeting in person, we can do this too! person, we can do this too! Once you have decided to go ahead with listing your property, we will get started compiling the information needed to complete the listing contract. Once we have all the information necessary, we will call you to make an appointment to go over the contract, decide on pricing, take measurements and photos. When we receive an offer on your property, we will make an appointment with you to discuss the offer, and together we will decide whether to accept the offer, or submit a counteroffer. Listing Agents are typically paid a percentage of the sale price to list the property, however, this may be a flat rate as well. 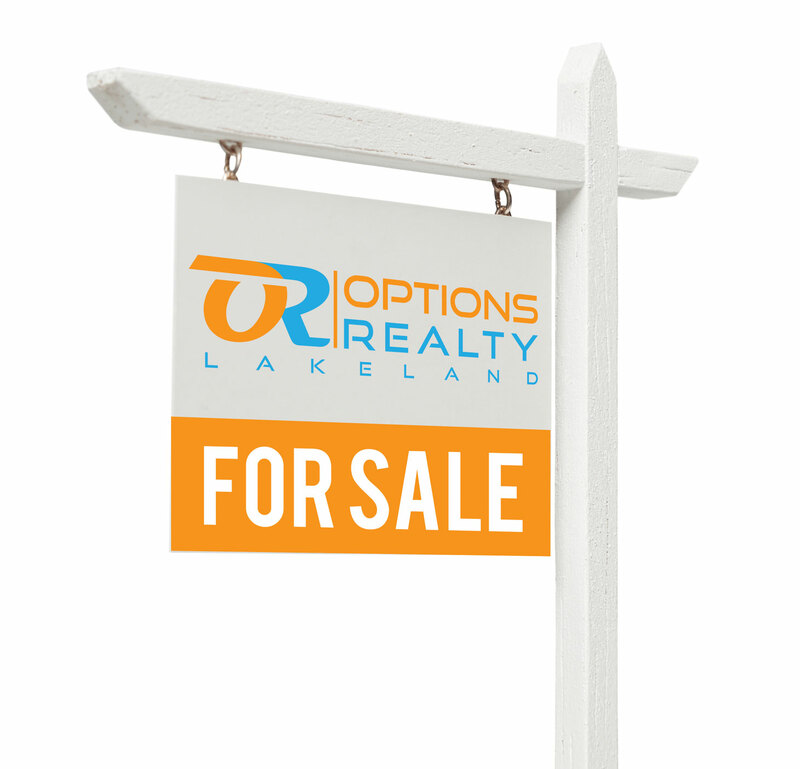 At Options Realty Lakeland, we have chosen to charge a Fixed 2% Commission Rate for our Full Service option. We feel that not only will the rate net our Sellers the maximum dollars out of their property, but we will also be fairly compensated for our time. At Options Realty Lakeland, we have chosen to list your property for a fixed 2% commission rate, of which we are prepared to offer 1% to a cooperating Brokerage. While this rate is lower than what a buyer’s agent could have received on a 7% on the first $100,000 plus 3% of the balance listing, it still offers enough of a commission to get their cooperation, all the while saving you thousands of dollars. Pricing your Property – As REALTORS we often hear sellers say they “need” or “want” a certain price for their property, and then base their decision on what price to list for on this. Unfortunately, the “needs” and “wants” of the seller have nothing to do with the market value of the property. While your “needs” and “wants” may be the determining factor on whether you want to, or able to sell your property, they will not impact the selling price in any way. The market value of your property is determined by simple economics. When demand is high and supply is low (Seller’s Market), prices trend upwards. The opposite holds true in that when demand is low and supply is high (Buyer’s Market), prices trend downwards. The Buyer does not care how much you “need” or “want” for the property, they only care about getting the best value for their dollar. Similarly, the banks also don’t care about what the seller “needs” or “wants” for the property, and will only lend money based on an appraised value. Another common misconception is that REALTORS or Real Estate Brokerages are somehow able to manipulate the market value of a property. This is simply not true; the market value of the property is determined by simple economics. REALTORS don’t attract offers to your property, the property and its perceived market value does. Simply put, your property is only worth what a Buyer is willing to pay for it, in the current state of the marketplace. First off, the home will sit on the market and will not attract any showings, much less offers, or the property will get a few showings, but still no offers. When this happens, the Seller will typically place the blame on the Seller’s Agent, as they perceive that their agent is not doing their job, but if you remember from above, it’s not the REALTORS that attract the offer, it’s the property and it’s perceived market value that does. At this stage the Seller will often consent to a price reduction, and provided the price is in line with market value. The home will typically sell. If the price reduction isn’t in line with the market value, the home will continue to sit on the market, creating a stigma to the property (people will begin to wonder, what is wrong with that property). This will further erode its value. More often than not, the eventual selling price of a home that was incorrectly priced from the onset will be lower than the market value that was determined at the very beginning (especially when you consider the cost of carrying that property for a period of time). With that said, you might be wondering just how you correctly price your property. Since you selected our 2% Fixed Rate Full Service package, we will be completing a CMA (comparative market analysis) for you to help determine your asking price. This report will give you a range of value, and is an excellent place to start in determining the market value of your property. Another option you have to determine the market value for your property is to hire a professional appraiser. The cost of doing so is usually several hundred dollars and will give you a report that is more detailed than the Comparative Market Analysis that we as REALTORS would do for you. Generally speaking, most property owners don’t go this route to establish a market value for their property, however, most financial institutions will require an appraisal of the property in order to supply financing for the buyer (buyer’s expense). As most property buyers will require some form of financing in order to purchase your property, you should be conscious of the fact that if the price you have been offered for the property isn’t in line with the market value of the property, your deal could collapse on the “financing condition”. Just another reason to price your property correctly from the onset.